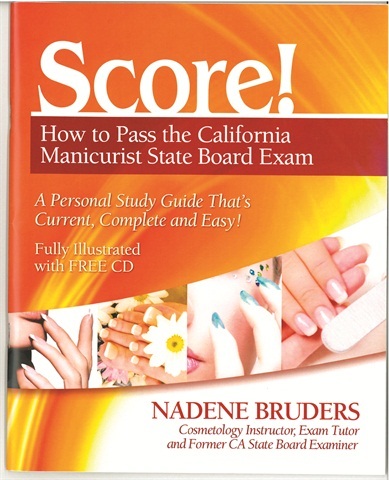 Nadene Bruders has helped hundreds of men and women pass the California Cosmetology, Esthetician, and Manicurist State Board Exams with her three comprehensive Guide Books for the practical part of the exam as well as the written. “Score” is packed with illustrations to help students visually see the techniques required to pass the California State Board Exams. Also included with the guide book is a CD to prepare students for the written portion of the exam. For more information, visit Nadene Bruders.